Tim Brogan, Golf Academy Director, has been a Class A PGA member for 15 years. The breadth of Tim’s instruction, fitting, retail, and management experience makes him a valuable asset to the 1757 Golf Club. Prior to managing the Golf Academy at 1757 Golf Club, Tim was Director of Instruction and Certified Fitting Professional at Golfdom in Tyson’s Corner, Virginia. 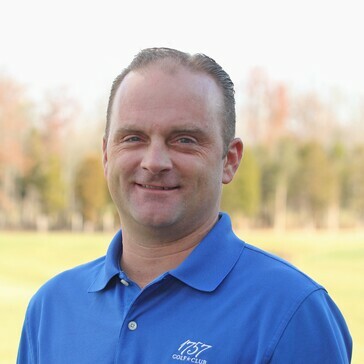 Before working at Golfdom, Tim was the Director of Golf at River Creek Club in Leesburg, Virginia for three years. For nine years Tim was an Assistant Golf Professional and Instructor under Golf Digest Top-100 Instructor Rick Barry at The Sea Pines Resort, Hilton Head South Carolina. He began his professional career working as an Assistant Golf Professional at Oakland Hills Country Club, Bloomfield Hills Michigan. Tim graduated from Ferris State University, the premier university for Professional Golf Management. Tim is enthusiastic about using his knowledge to build the skills of our golfers through group and private instruction as well as custom fitting.